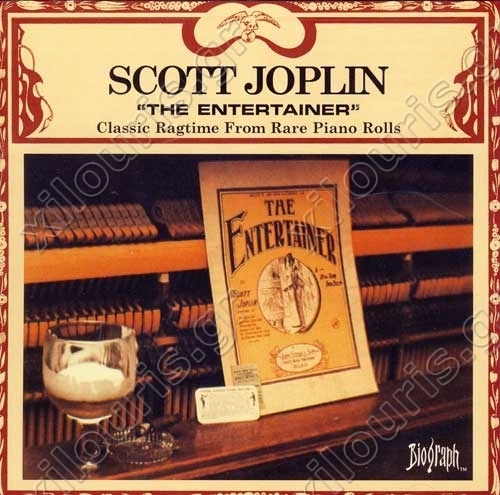 The piano compositions of ragtime pioneer Scott Joplin are wonderfully showcased on this 14-track compilation, which includes many of the Texan musician's most influential and best-known tunes. The crown jewel of the regal ENTERTAINER anthology, is, of course, its lively title track. Penned by Joplin in 1902, the jaunty and highly melodic song is immediately identifiable as a turn-of-the-century classic, and one of the more well-known pop melodies in American history. Additional standouts include "Maple Leaf Rag," another one of Joplin's undisputed masterpieces, along with "Sugar Cane," "A Breeze from Alabama," and other vintage two-step numbers. Both nodding to classical music and paving the way for jazz, these pieces are truly timeless, and essential to any ragtime collection.